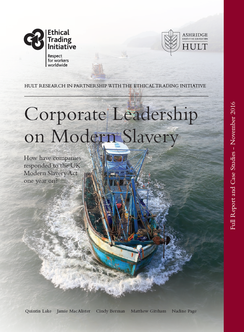 Research led by our director Quintin Lake as a fellow at Hult International Business School, together with the Ethical Trading Initiative. Focused on identifying 'what good looks like' for companies addressing modern slavery in their supply chains. Includes case studies and examples of good practice. A snapshot of corporate practice in addressing modern slavery at the time the UK Modern Slavery Act was introduced. 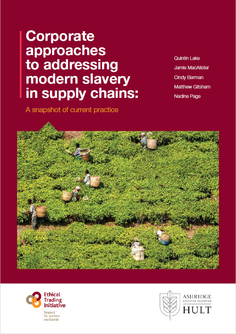 Research focused on the drivers for companies addressing modern slavery ahead of the UK Act, and emerging good practice. I highly recommend Fifty Eight. Their findings have exceeded our expectations and identified additional opportunities for strategic collaboration and service improvements. about how we can help with modern slavery research including child labour, forced labour and responsible recruitment.